Lamonster F3 LED Fog Light Kit. "The Original Aftermarket LED Foglight Kit for the Can-Am Spyder F3"
This is a Plug and play kit. The brightness of these lights are amazing even in the daylight. Be seen, be safe. Easy install! The hardest part was getting taking the panels off to get access. They look great! Great product and easy to install. The U tube video walks you through step by step. Visibility made easy. These bright lights help you see and others to see you. With quick and simple installation made possible by the plug and play design. Just watch his YouTube video for installation and you will be done in no time. I feel these are a must for any F3 owner. Easy to install. Love the look. 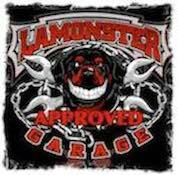 Installation was a breeze Lamonster made it easy. They really make you be seen by other drivers. Want to get the led head lamps and strobing tail lamps as well. Good quality products will buy more. Thanks Lamonster!! You could almost install this kit with your eyes closed. The modular connections directly into the factory harnesses make it seamless, and the craftsmanship of the parts is top notch. These LED's are so incredibly bright...really increases the chances that you are seen by cagers. The title says it all. It's an easy straight forward plug and play install. The perfect companion to the their LED Headlights! These are what headlights should be! I have always been hugely disappointed in Motorcycle headlights. Not one of my bikes has ever had a decent headlight/bulb in it. The F3-S was no different. These things are absolutely what it should have come with. And do yourself a favor and get the Lamonster Fog lights as well!